Female U.S. Supreme Court justices are on average three times more likely to get interrupted than their male counterparts, according to new research. 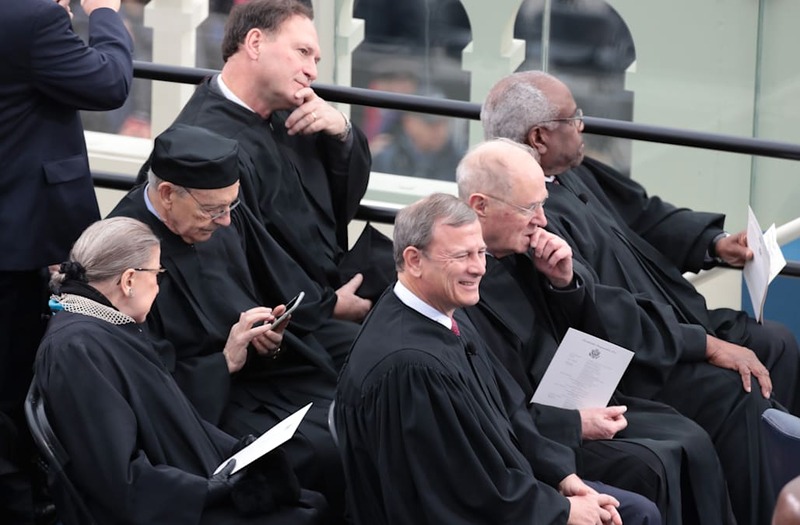 The study, conducted by researchers from the Northwestern University Pritzker School of Law, focuses on the court's oral arguments because the paper says "they affect case outcomes and constitute the only opportunity for outsiders to directly witness the behavior of the justices of the highest court." Tonja Jacobi and Dylan Schweers analyzed three Supreme Court terms; according to a piece they wrote for SCOTUSblog, they found that "in 1990, with one woman on the court (Justice Sandra Day O'Connor), 35.7 percent of interruptions were directed at her; in 2002, 45.3 percent were directed at the two female justices; in 2015, 65.9 percent of all interruptions on the court were directed at the three women on the bench." In fact, during the 2015 term which had the three female justices currently on the bench—Justice Elena Kagan, Justice Sonia Sotomayor, and Justice Ruth Bader Ginsburg—each had been interrupted a double-digit number of times by one or more male colleagues which was a rare occurrence among the men. The researchers note that "the most any woman interrupted any individual male justice during that term was seven times." Overall, according to the study, "On average, women constituted 22 percent of the court, yet 52 percent of interruptions were directed at them."